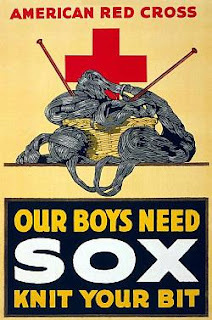 I bet you didn't know the Red Cross has vintage knitting patterns on their website? Well, they do! The pdfs can be found here. I am not good enough at knitting yet to tackle these, but I bet these patterns would be the perfect craft-ivism (to steal a term from Etsy) project!